The 48" Stanton Vessel Sink Vanity is perfectly suited for a modern bathroom looking to break free from traditionally flat counter spaces. 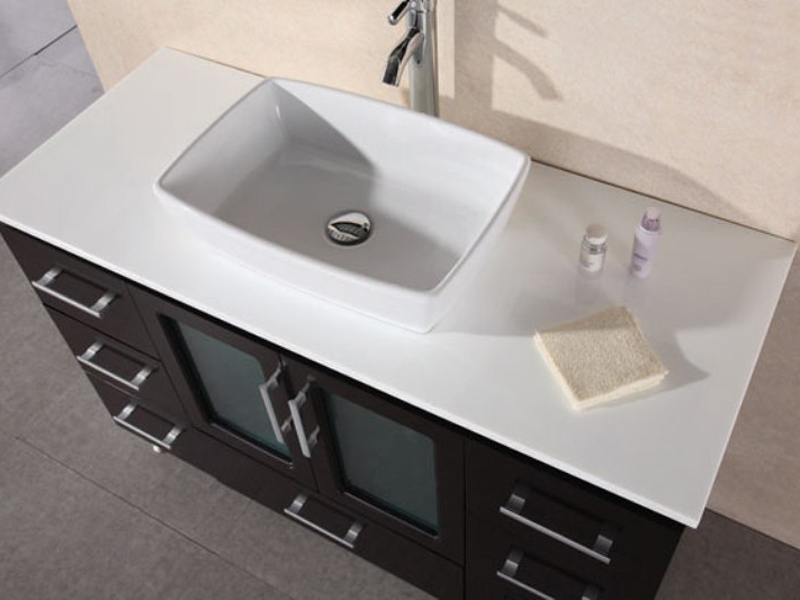 A white porcelain sink crowns the top of the stone countertop, enhancing the elegant aesthetic of the vanity. 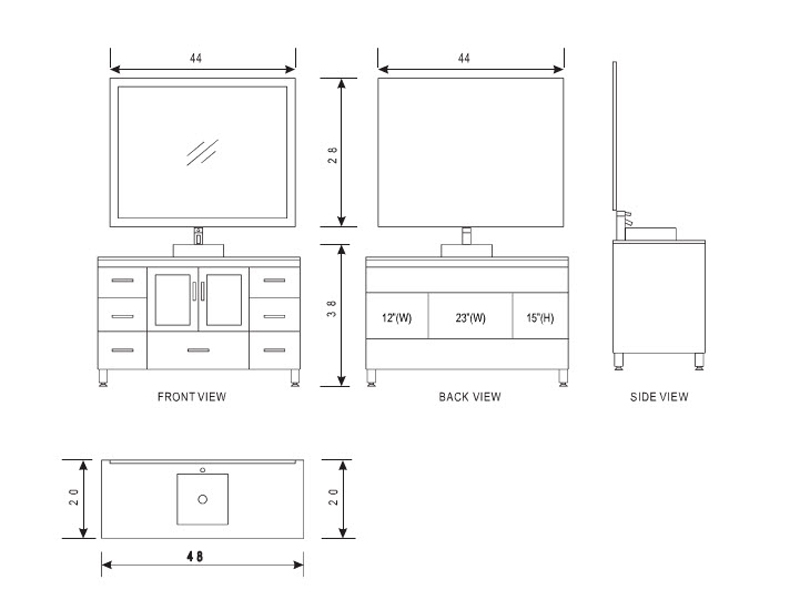 With seven drawers and a double-door cabinet, all of your bathroom accessories will be able to find a home. 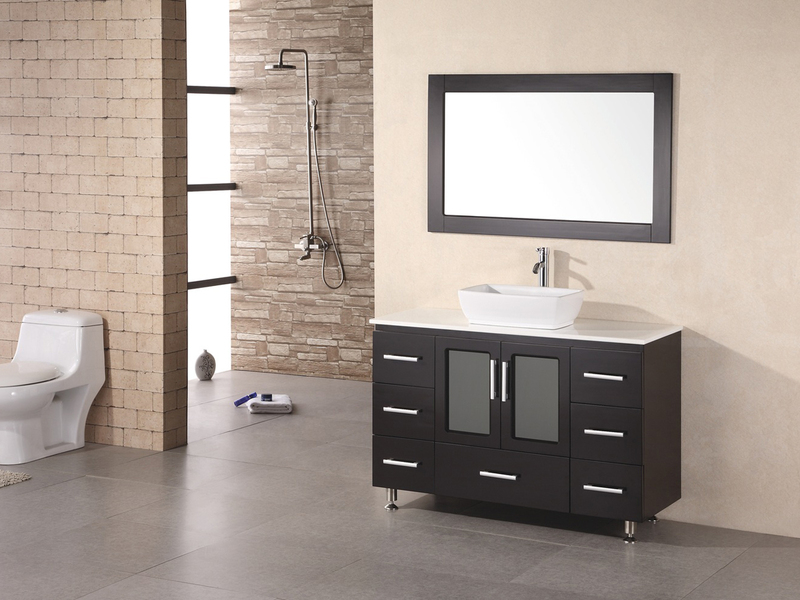 The vanity includes a matching framed mirror and chrome faucet with a matching pop-up drain, making this vanity hassle-free to call your own.